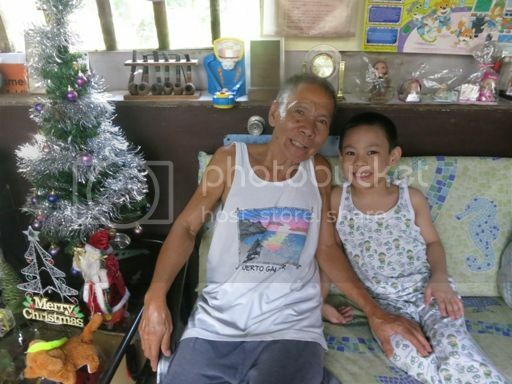 It is very seldom that the little boy gets to visit his grandparents’ place in Cavite. We spent three days there last December and celebrated Christmas with his grandparents, aunts and uncles, and cousins. 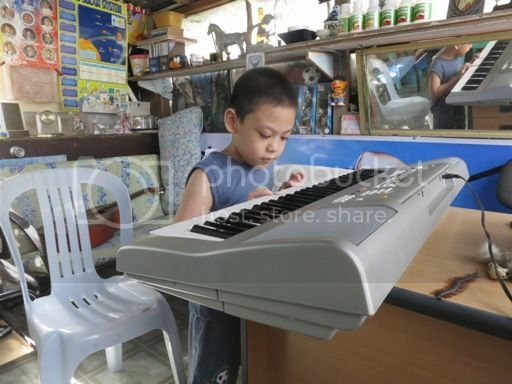 Justin was also able to do several things there that he couldn’t do at home, and those made his stay at his grandparents’ place more fun and exciting. He held a live chick, he ate taho, and he became a carwash boy and a musician for a day. My Tatay, Justin’s lolo, has two chicken and 3 chicks all kept in a cage. 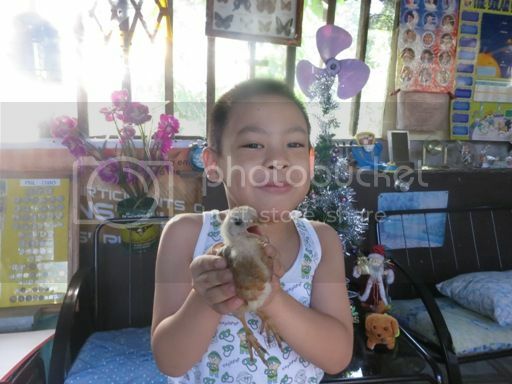 My son wanted to hold the chicks, and his wish was his lolo’s command. 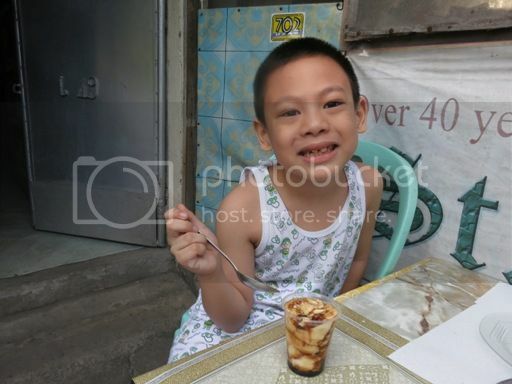 It was also the little boy’s first time to eat taho (sweetened soy bean curd). I made him go outside the house to buy taho from the taho vendor passing by. He ate some of his taho and gave what’s left of it to me. He also wanted to help with household chores. His lolo gave him a small rug and asked him to wipe the dust off his Tita Meme’s car, which he gladly did. Finally, he was able to play a real guitar and a real organ. 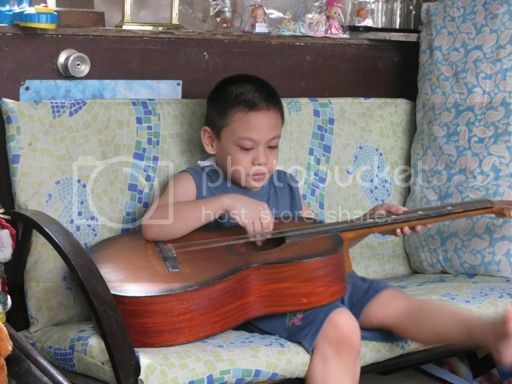 He has a Paper Jamz electric guitar at home but no organ, so he was quite ecstatic to see these musical instruments and have both the guitar and the organ for himself for the duration of his stay at his grandparents’ place. As you can see, he really enjoyed his short vacation in Cavite spending time with his grandparents and the rest of our family and doing the things that he normally can’t do at home.